September 2014, Montreal, QC— Effigis and Juniper Systems, rugged handheld computer manufacturer, have partnered to provide a powerful, yet inexpensive solution to easily capture and post-process GPS data to attain sub-meter accuracy. Effigis’ OnPOZ Precision Positioning Software suite takes advantage of the superior GNSS performance Juniper Systems’ Archer 2™ rugged handheld provides to collect high-accuracy GPS data. First, EZTag CE™ software is used on the Archer 2 to capture GPS field data points. The data is then sent to a desktop computer, where EZSurv® Post-Processing Software automatically post-processes the data to achieve results with sub-meter accuracy. EZSurv takes the hassle out of post-processing, requiring only the click of a button to run. Juniper Systems’ Archer 2 is the ideal data collection tool for this software due to its ruggedized design, enabling it to perform well in any environments, as well as its enhanced GNSS receiver, which provides a reliable signal, even in heavy tree canopy. Based out of Logan, UT, USAand Birmingham, UKJuniper Systems designs and manufactures rugged handheld computers and provides field data collection solutions for use in extreme environments. 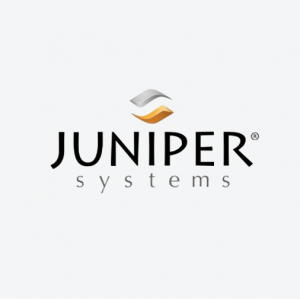 Since 1993, Juniper Systems has provided innovative mobile technology to natural resources, utilities and public services, geomatics, agriculture, industrial, and military markets. For more information on Juniper Systems products, please visit www.junipersys.com.